It has become great prominence that business organizations are considering open source software (OSS) when looking for software system solutions. However, building applications based on open source software remains an essential issue for many software developers since the new development process differs from traditional in-house development. 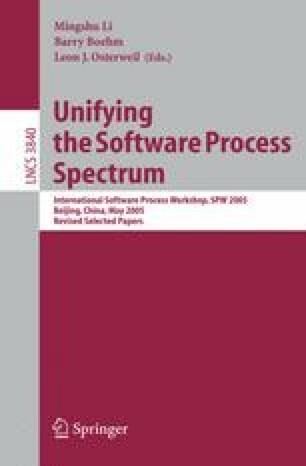 In this paper, we present a development process based on our experience on using open source software in application development. The new process emphasizes the early assessment to improve the architecture stability and project manageability by assessing available OSS. A set of measurable assessment criteria is established in assessing OSS candidates and making optimal decisions in the development process. A case study is discussed to show the application of this process.